Women increasingly make up a significant percentage of the labor force throughout the world. This transformation is impacting everyone's lives. This book examines the resulting gender role, work, and family issues from a comparative worldwide perspective. Working allows women to earn an income, acquire new skills, and forge social connections. It also brings challenges such as simultaneously managing domestic responsibilities and family relationships. The social, political, and economic implications of this global transformation are explored from an interdisciplinary perspective in this book. 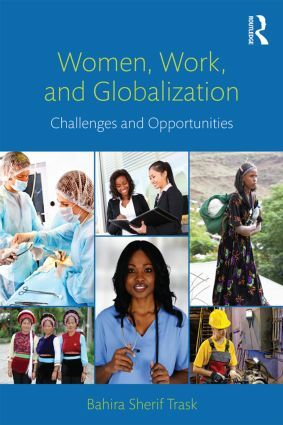 The commonalities and the differences of women’s experiences depending on their social class, education, and location in industrialized and developing countries are highlighted throughout. Practical implications are examined including the consequences of these changes for men. Engaging vignettes and case studies from around the world bring the topics to life. The book argues that despite policy reforms and a rhetoric of equality, women still have unique experiences from men both at work and at home. Key issues surrounding work and families from a global cross-cultural perspective. The positive and negative experiences of more women in the global workforce. The spread of women’s empowerment on changes in ideologies and behaviors throughout the world. Key literature from family studies, IO, sociology, anthropology, and economics. The changing role of men in the global work-family arena. The impact of sexual trafficking and exploitation, care labor, and transnational migration on women. Best practices and policies that have benefited women, men, and their families. Part 1 reviews the research on gender in the industrialized and developing world, global changes that pertain to women’s gender roles, women’s labor market participation, globalization, and the spread of the women’s movement. Issues that pertain to women in a globalized world including gender socialization, sexual trafficking and exploitation, labor migration and transnational motherhood, and the complexities entailed in care labor are explored in Part 2. Programs and policies that have effectively assisted women are explored in Part 3 including initiatives instituted by NGOs and governments in developing countries and (programs) policies that help women balance work and family in industrialized countries. The book concludes with suggestions for global initiatives that assist women in balancing work and family responsibilities while decreasing their vulnerabilities. Intended as a supplemental text for advanced undergraduate and/or graduate courses in Women/Gender Issues, Work and Family, Gender and Families, Global/International Families, Family Diversity, Multicultural Families, and Urban Sociology taught in psychology, human development and family studies, gender and/or women’s studies, business, sociology, social work, political science, and anthropology. Researchers, policy makers, and practitioners in these fields will also appreciate this thought provoking book.